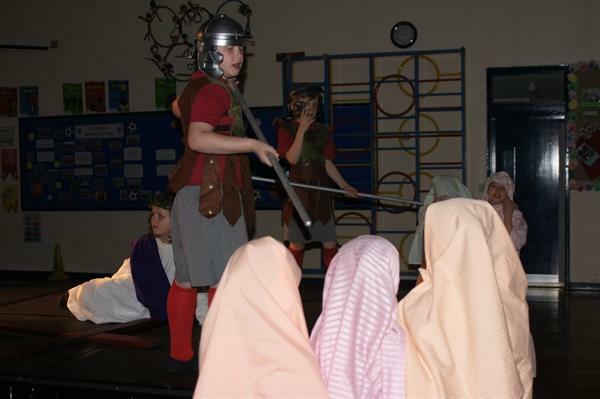 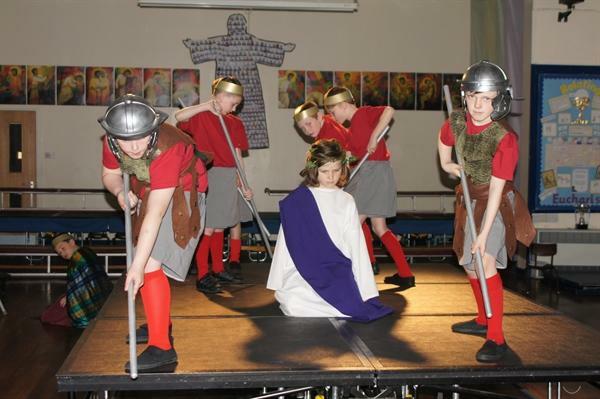 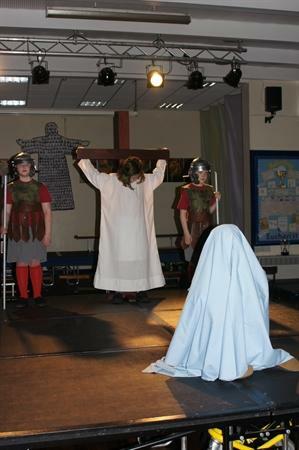 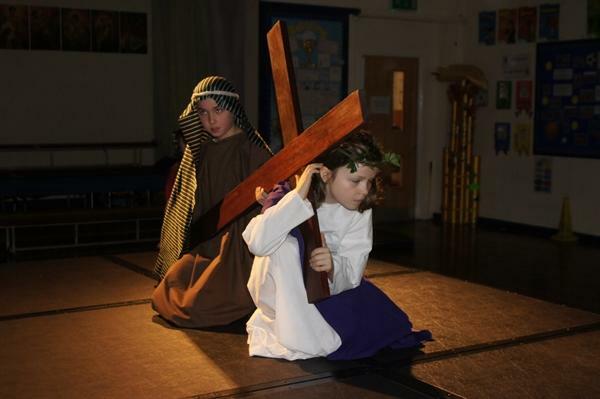 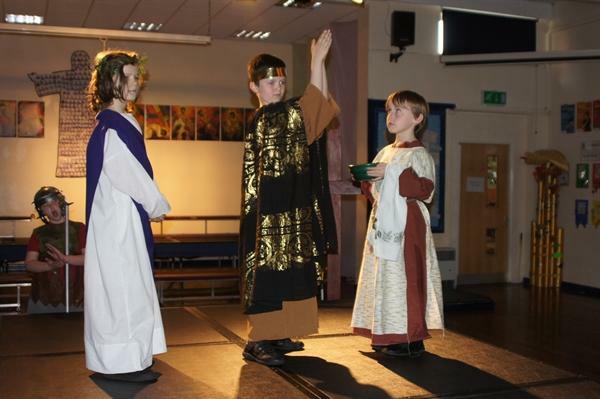 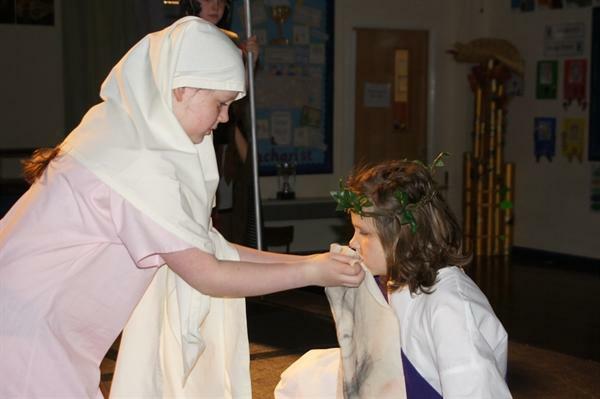 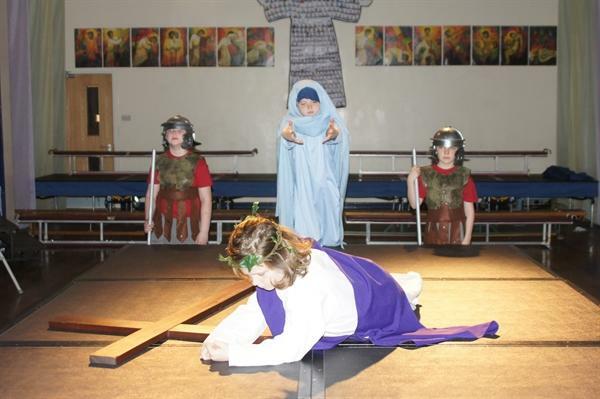 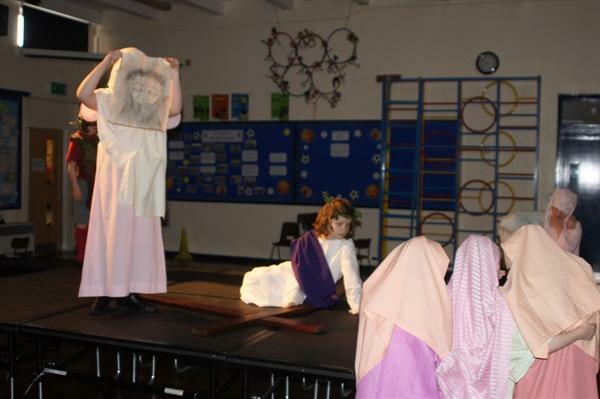 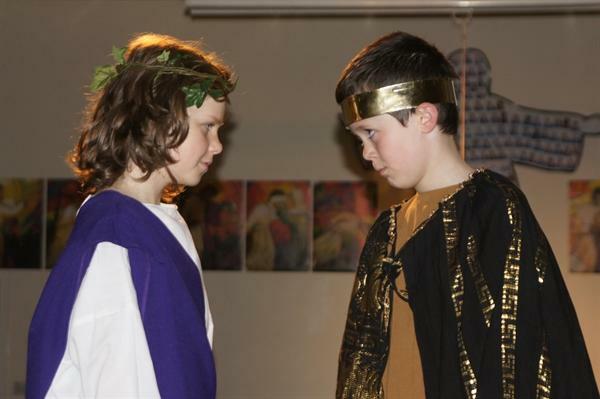 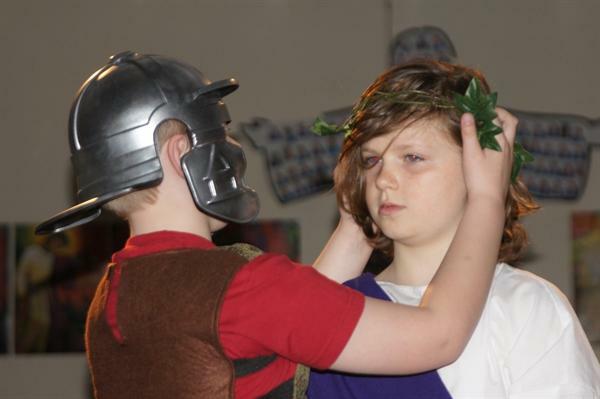 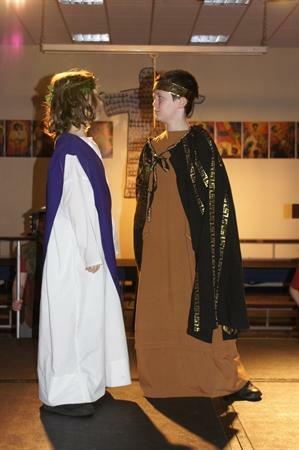 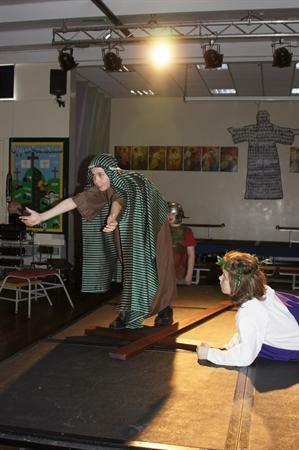 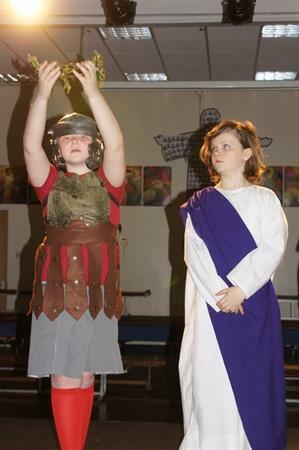 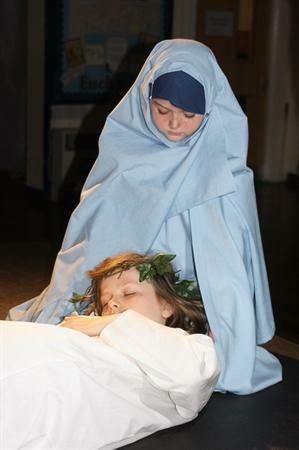 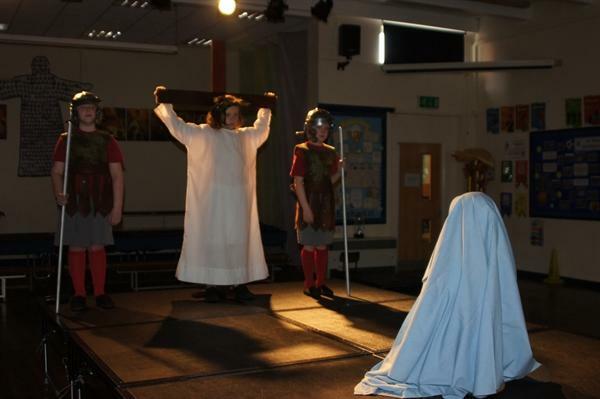 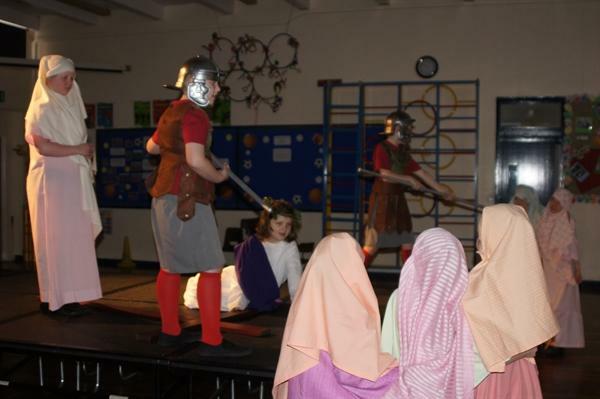 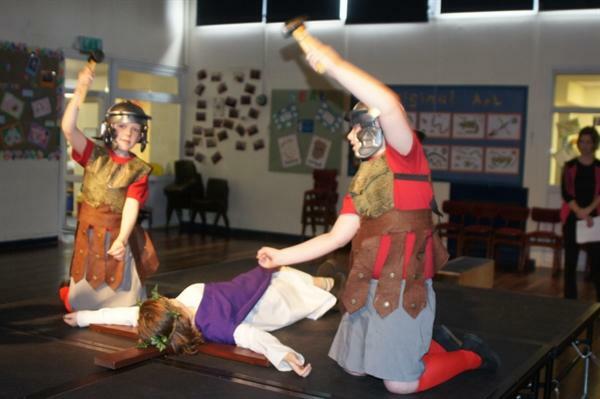 Through their production 'Born for This' pupils in Years 3 & 4 told the Easter story. 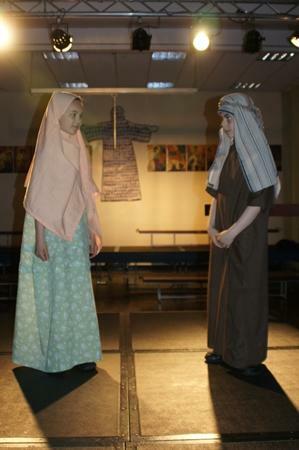 They used music, songs, acting and choral speaking to deliver their message. 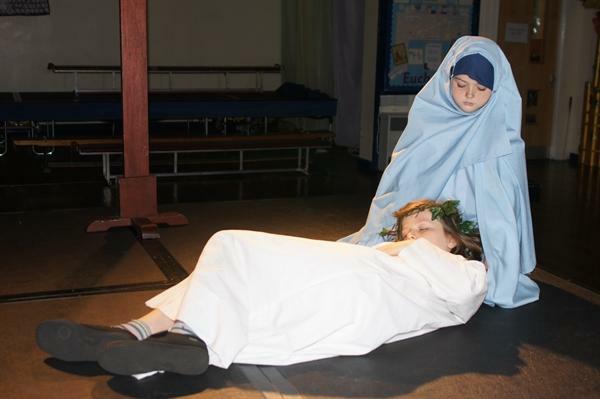 The performance opened with the crib, centre stage under a spotlight, the children sang the Christmas carol, 'The Infant King'. 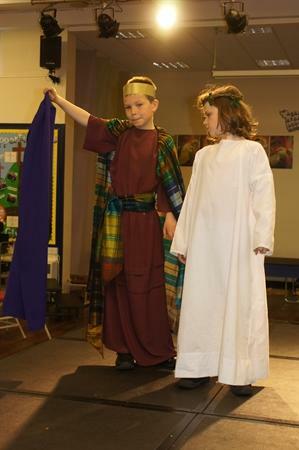 The words in the carol refer to the birth of Jesus but also to the journey he will take to his crucifixion and resurrection. 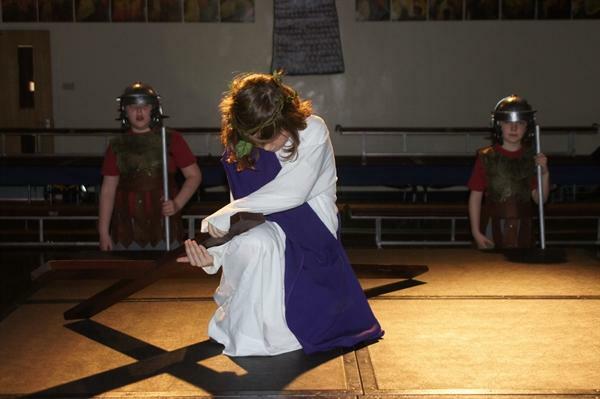 The stage is cleared; two travellers, who have witnessed events in Jerusalem, introduce the story and the events of Good Friday are told through dialogue, mime and song until Jesus is taken down from the cross. 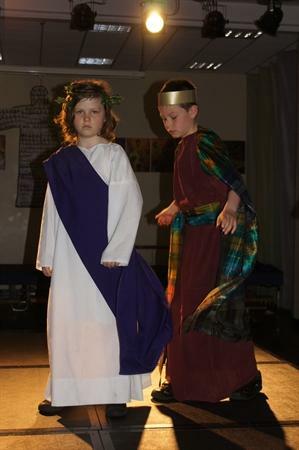 The children leave the stage in silence...'I arise today' (see link below)begins to play as a 'presentation 'appears on the screen. 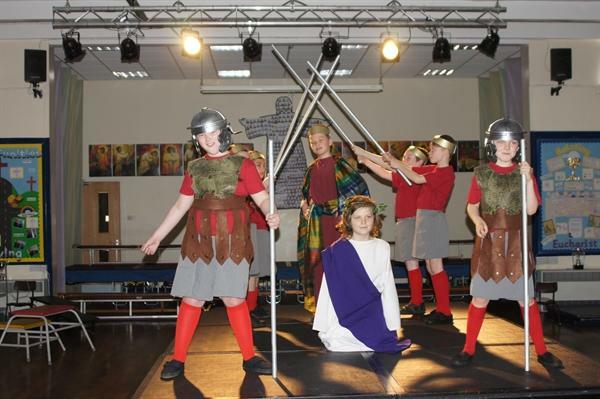 The pupils return to the stage with lighted candles, the symbols of the nails, hammer and crown of thorns are placed at the front of the cross.